Due to a death of residents and the intervention of military occupation, no city elections were held until 1868. Since that time Camilla has been blessed with efficient and forward-looking city administrations. For example, instead of "granting" electrical power distribution to franchise companies, Camilla instituted its own electrical system, thereby assuring its citizens affordable electricity and, simultaneously, lowering property taxes with the "profits" from the sale of electricity. Furthermore, Camilla is currently installing a city-owned, high speed data transmission system for homes and businesses. 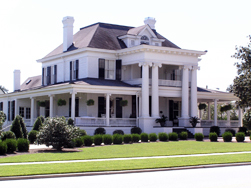 Many of the most beautiful landmarks line Broad Street in Camilla. 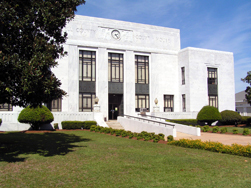 All visitors to this town should take a drive down Broad where they'll see antebellum homes, a historic courthouse and businesses, and end up at the Spirit of Camilla railroad.